I've, so far, just tested this out in our staging/sandbox environment as a technical spike but so far find it to be everything it promises. A simple, easy front end for ZFS file services wrapped in a nice GUI for AWS. My organization needed a file serving solution that we could use across AWS as well as several VMware on-premises data centers and this fit the bill nicely. Admittedly, I've not run it in a production capacity yet, but have stress tested it quite a bit and put it through all of the HA failover tests I could come up with and it performs admirably. I've dealt with Support on several occasions, something one often goes into with a little trepidation, having not paid for the "gold" support. Regardless, all interactions have been positive and resulted in a quick turnaround solution. If my experience changes at all once we transition to production, I'll amend my comments here but for now I sincerely recommend this software. We are using SoftNAS to provide CIFS shares for an AD environment. I was a little confused on the permissions configuration and sent a pre-sales question to their support team. Their email response was quick and professional. Most important of all, the technician had an in-depth knowledge of the product and quickly answered all of my technical questions. Support was really awesome! I did not know how SoftNAS ha worked... and SoftNAS support staff [Bubacarr] spent 2 hours to patiently walk me through its concepts! Highly recommended! We have been using SoftNAS in our organization after initial evaluation around 8 months ago. Thereafter we had great support from SoftNAS support team in testing, deployment, performance tuning and also migration to BYOL model. The product is feature rich and robust backed by a solid knowledgeable and responsive support team. Feedback from our scenarios were quickly turned into bug fixes from time to time manifesting their commitment to customer satisfaction. I recommend SoftNAS to any organization willing to deploy shared file system services in the cloud. Special thanks to Jack, Nate, Roman, Amr for their continued support and cooperation. We have been using SoftNAS in AWS for over 12 months, and have upgraded to High Availability over two availability zones. The support provided has been second to none including very willing flexibility to provide assistance out of hours for upgrades. We have been working with this product for a few days creating and destroying various instances, implementing replication and HA, failing over and failing back. The product work really very well and the interface is very user friendly. Working with support I found they were willing to accommodate our time critical testing and more than happy to spend the time to help me understand the product and its more technical aspects. More than happy to recommend this product. Seriously, was able to get off the ground with the product in under an hour. Documentation should be improved for mounting NFS drives to EC2 Linux Instances (if you have local users, documentation won't tell you to sync the userIds on all systems)... But overall, the storage processor exposed by SoftNas is the best I've ever used. It's incredible. Deployed SoftNAS as a part of our forklift to move from DC to AWS. The support and ease of deployment for this service has been very enjoyable. The SoftNAS team is exceedingly knowledgeable, helpful and responsive. Their insights into the best method to provide CIFS|NFS|S3 durable access to all our data from both out office HQ and VPC instances has been very helpful. The features they currently provide, plus those coming soon are elegant, useful and very needed. 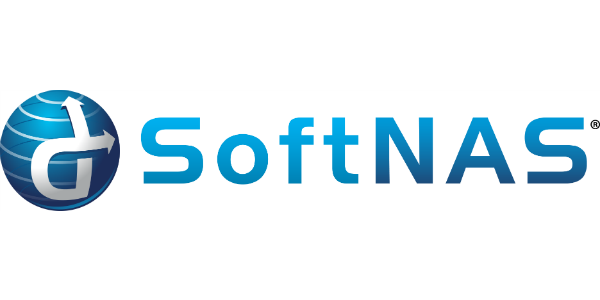 SoftNAS is a great way to bring the benefits of ZFS into an AWS environment. We primarily use it for NFS access and after some tuning, were able to get it to work exactly as we needed. The team behind the product is very approachable as well. It is great to be able to get specific advice on how to adjust the many available knobs to fit our somewhat unusual use case. SoftNAS certainly a very useful product, however, you need to estimate/project your costs for a file sharing software. A good start point will be try the free offering of Amazon + SoftNAS ( hourly subscription ).